Psyonix has announced that it will release its final update of 2018 for Rocket League on Monday, December 3rd at 10am Pacific. This release is primarily focused on Xbox One X players, as it will include enhancements for the console with both native 4K resolution and High Dynamic Range for those with a supported setup. 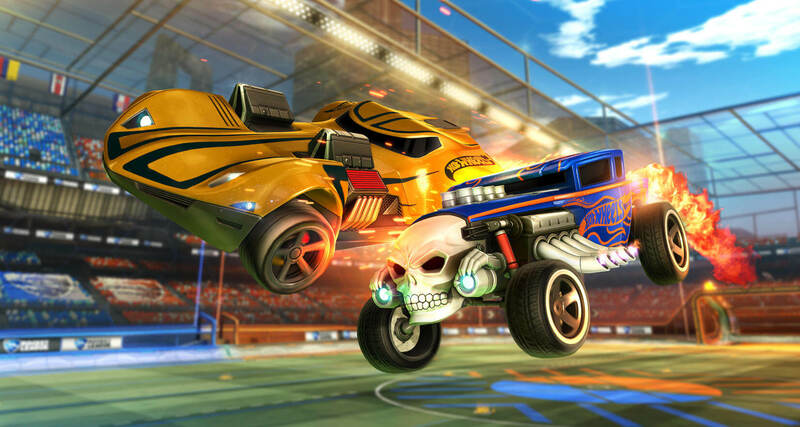 Rocket League has always run at 60FPS to deliver a rock-solid, smooth and stable experience – and this feat remains intact on the Xbox One X. But now it’ll look even better in 4K resolution, bringing the cars and stadiums of Rocket League to life with more vividness and colour than ever before thanks to HDR display technology. 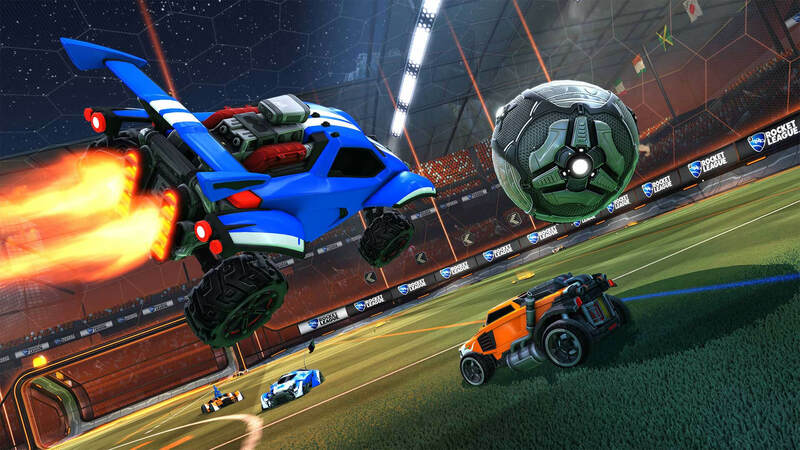 For those Xbox One X players on a 1080p display, Rocket League will still render in 4K resolution, taking advantage of the console’s unique super-sampling technology to deliver the best possible image on a Full HD display. Not only will this mean a more detailed, crisper image, but as an added benefit of super-sampling, it will provide a noticeable enhancement towards anti-aliasing – delivering a sharper picture with reduced jaggies. Those with compatible HDR 10 displays will be able to fine-tune their setup with options to adjust both paper white and contrast settings, as well as a side-by-side visualizer. Psyonix says they worked closely with Microsoft’s Advanced Technology Group to help get the most out of the Xbox One X hardware. They also provided the team with feedback on tuning their title for HDR. As a reminder, the Xbox One X Enhanced update for Rocket League will be available on Monday, December 3rd at 10am Pacific. That’s 1pm Eastern time and 6pm BST for those in the UK and Ireland. 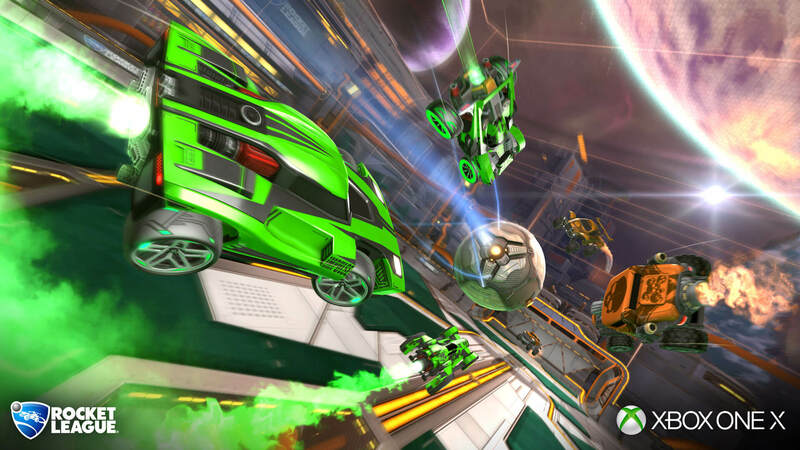 For more details on the Xbox One X Enhanced version of Rocket League, then be sure to hit up the Xbox Wire. Beyond the enhancements for Xbox One X players, the December Update for Rocket League also features leaderboards for the Ranked Extra Modes, updates to the XP/Progression System to deliver more weekly win bonuses, a brand new ‘Rocket League x Monstercat Vol. 5’ EP, and new Community Flags for Extra Life, Speedy and more. Once the December Update has released, Psyonix will share more details about the Rocket Pass 2 and Frosty Fest 2018, both of which will begin before the end of the year. Rocket League is available today on Xbox One, PlayStation 4, Nintendo Switch and PC, and if you’re an Xbox Game Pass subscriber, you can download and enjoy the title on Microsoft’s console today at no additional cost as you await those sweet Xbox One X enhancements come December 3rd.